Coeur d’ Alene, Idaho, May 4, 2016 – Drone startup xCraft is giving your smartphone wings. The company has created the only drone that uses your smartphone as the camera, GPS and processor of the aircraft. The drone will pair to an onboard smartphone via bluetooth connection and will allow for autonomous missions and “selfie mode”. The drone can also be controlled by another device from the ground through an app. 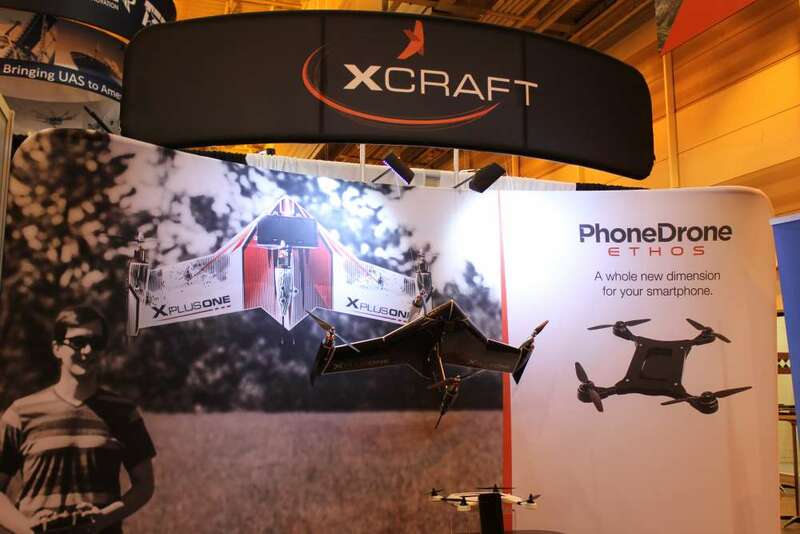 xCraft has continually refined its PhoneDrone Ethos, making it a sleeker, more durable design. The bay for the smartphone has undergone rigorous testing and will provide waterproof and shockproof protection for the smartphone. The PhoneDrone is portable, and will fit any smartphone, up to an iPhone 6 Plus and is compatible with both Android and iOS smartphones. A detachable mirror will allow for a variety of angled shots and provide 20 degrees of forward vision. The controller app has also undergone an extensive refinement and is ready to make your smartphone fly! With simplified controls, and an onboard display, you will easily be able to control your phone in real time from the sky. The drone startup from North Idaho will be releasing PhoneDrone Ethos this September. The drone will combine all of the technical components of a smartphone with powerful quad-copter capabilities. Through app based control, the PhoneDrone will harness the camera and GPS power of a smartphone, keeping the drone at a very reasonable price point. “The idea is you’re using the sensors that are already in your smartphone to control the drone,” – J.D. Claridge, CEO and co-founder of Xcraft. Through continued innovation, the PhoneDrone Ethos was designed to reach a broader market and add to the company’s already impressive product line of industry changing designs, including its flagship product, the X PlusOne. xCraft struck a historic deal on CBS’s Shark Tank in 2015, receiving investments from all five “Sharks.” They recently moved from Sandpoint to Coeur d’ Alene, Idaho in order to grow the company amongst a growing tech community.